Finally, Get Your Home Sold without having to deal with a middle man (Realtor). We’re literally standing by the phone just waiting for home owners just like you, to call or contact us. We’re standing by, ready to talk with you about the sale of your home. When homeowners decide to sell to us, the burden of a problem property just melts away. How? We’ll , we buy their house, and we take on the problems and eventually, after extensive renovation, resell the house at full retail value. My name is James Vasquez, and this is my beautiful family that God has blessed me with. A big part of why I even run this business is for them…We have been in business for over 9 years and have always tried to go the extra mile in doing right by the people that sell to us. To us, money is money, but relationships matter most, and so we handle every single transaction with care and we do what we say we’re going to do, every time. 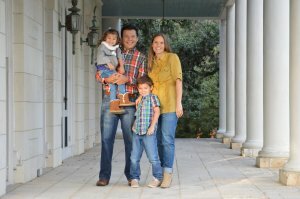 Sometimes, those who own property simply have lives that are too busy to take the time to do all of things that typically need to be done to prepare a house to sell on the market… if that describes you, just let us know about the property you’d like to be rid of and check out our testimonials from other homeowners in Alamo Heights.